President Donald Trump welcomed an American hostage released from Venezuela at the White House on Saturday. Joshua Holt, a Utah man held hostage by the Venezuelan socialist government for almost two years, reunited with his family and met the president at the White House. The gesture is an olive branch from Venezuela’s socialist dictator, Nicolas Maduro, amid intensifying sanctions imposed by the United States. But the White House said on Saturday that releasing the hostage does not change the United States policy toward the regime. “The Maduro regime must call free, fair, and transparent elections, consistent with its constitution. The election process that occurred on May 20 was illegitimate,” White House Press Secretary Sarah Sanders said in a statement. At the meeting with the Hold family, Trump pointed out that 17 hostages held abroad have been released during his term. Most recently, North Korea free three Americans ahead of Trump’s summit with Kim Jong Un. Holt, 26, was a Mormon missionary, which led him to meet his future wife, Thamara Caleño, 27, a mother of two and also a Mormon. After meeting Caleño for the first time in the Dominican Republic, Holt traveled, on June 11, 2016, to Caracas, Venezuela, to marry her. Yet, after a week-long honeymoon on the dreamy Margarita island, their life turned into a nightmare. On June 30, police were conducting door-to-door searches in the crime-ridden Ciudad Caribia public housing complex, where Caleño lived. Holt was staying in her apartment and when the police came in around 6 a.m., he took out his phone and started recording them. Two hours later, some 30 masked officers came to the apartment complex. They hauled a large black bag up to the couple’s apartment as several neighbors watched. While some of the officers distracted Caleño, one of the officers went out of sight and then announced he found the black bag with weapons inside, the witness said. Venezuelan news then reported that two rifles, an AK-47 and an “imitation” AR-15, were recovered by police, along with a grenade. The witness was convinced the couple was framed. She said Holt couldn’t have bought the weapons since Caleño’s relatives were keeping a close eye on him. His Spanish wasn’t great and they feared for him getting into trouble. Moreover, Caleño’s daughters, 5- and 8-years-old, stayed in the apartment. “[I]f they had touched anything, it would have blown away three buildings,” the witness said. 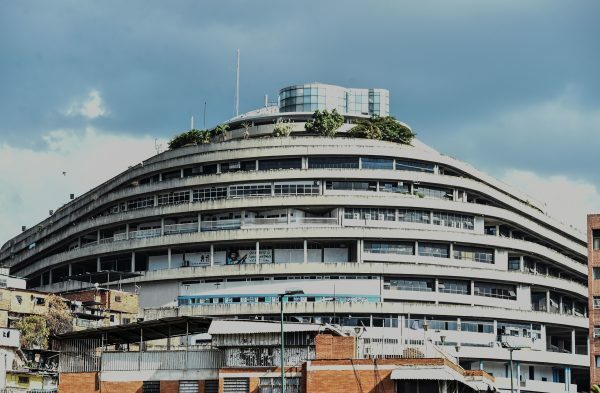 Holt and Caleño were reportedly detained in Caracas at the El Helicoide, a military and intelligence office building combined with a prison. After a revolt broke out at the prison earlier in May, Holt barricaded himself in his cell and later managed to send a video and voice messages to the outside world. Sen. Hatch detailed the efforts to free the Holts, which were aided by the Senate Foreign Relations Committee as well as Caleb McCarry, former official of the second Bush Administration with expertise on Venezuela. “Over the last two years I’ve worked with two Presidential administrations, countless diplomatic contacts, ambassadors from all over the world, a network of contacts in Venezuela, and [Venezuelan] President Maduro himself, and I could not be more honored to be able to reunite Josh with his sweet, long-suffering family in Riverton,” Hatch said. President Donald Trump imposed additional sanctions on Venezuela on Monday, May 21, shortly after socialist dictator Maduro won an election that senior American administration officials called a sham. Fourteen South American nations refused to recognize the May 20 election in Venezuela as legitimate, according to a Lima Group joint statement by Argentina, Brazil, Canada, Chile, Colombia, Costa Rica, Guatemala, Guyana, Honduras, Mexico, Panama, Paraguay, Peru, and Saint Lucia. Ivan Pentchoukov contributed to this report. Wearing yellow costumes that glimmered in the sunshine, practitioners performed the slow-moving exercises of the practice in the bustling central London square.